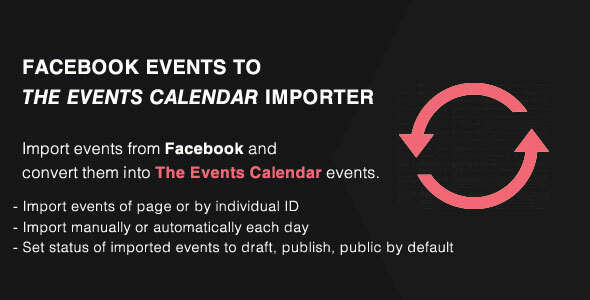 Events Importer from Facebook Addon is a simple program that pulls events in Facebook and coverts them into events for The Event Calendar. Events can be pulled with individual ID or from a facebook page. Admin can import the events manually or set it to import them automatically each day. Events imported can also be set to publish,draft,or private. All events will show up in as a list in the settings panel before import. Admin can then select the ones he wants to import and deselect the ones he don’t. Status section of the event will change once the import process is complete.